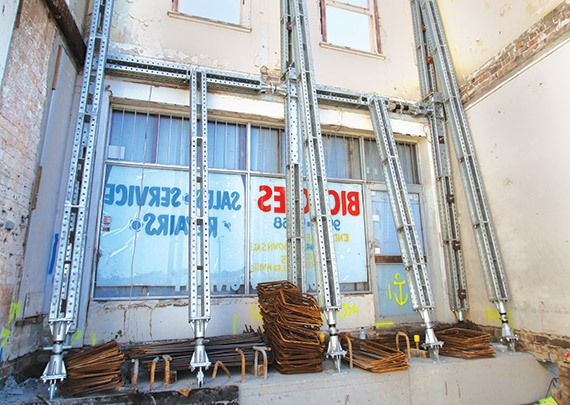 As contemporary construction techniques render some materials and methods obsolete, the desire to retain examples of past architecture remains strong. 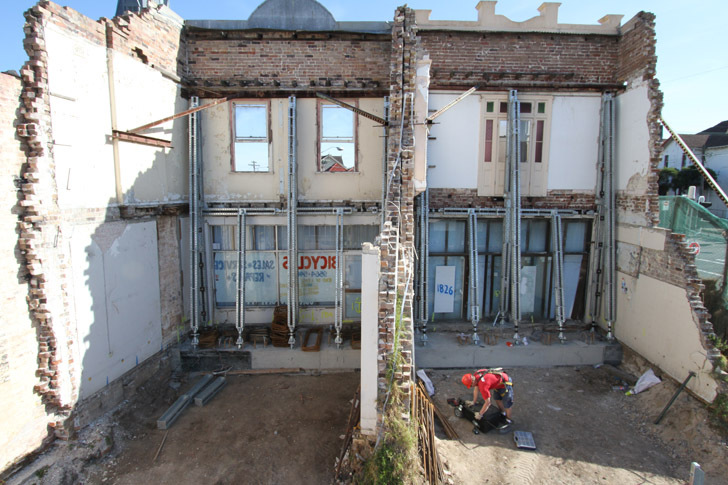 This project in Marrickville involved a major building renovation designed around an existing brick façade, which required a reliable and delicate approach. 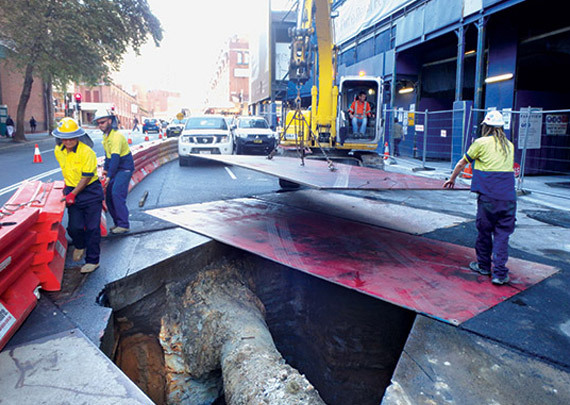 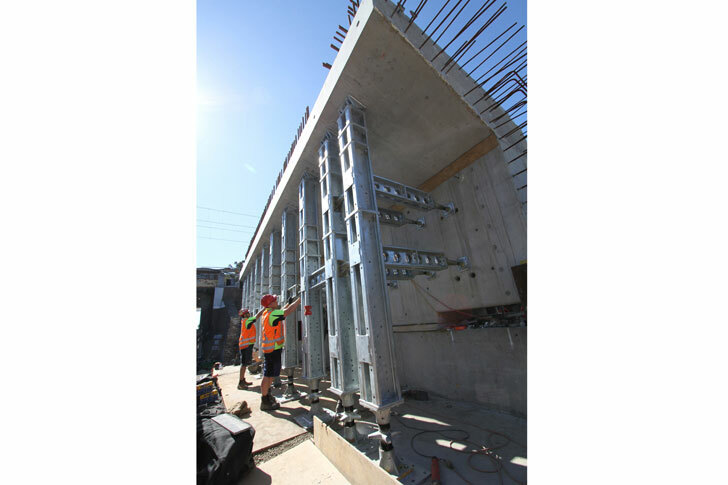 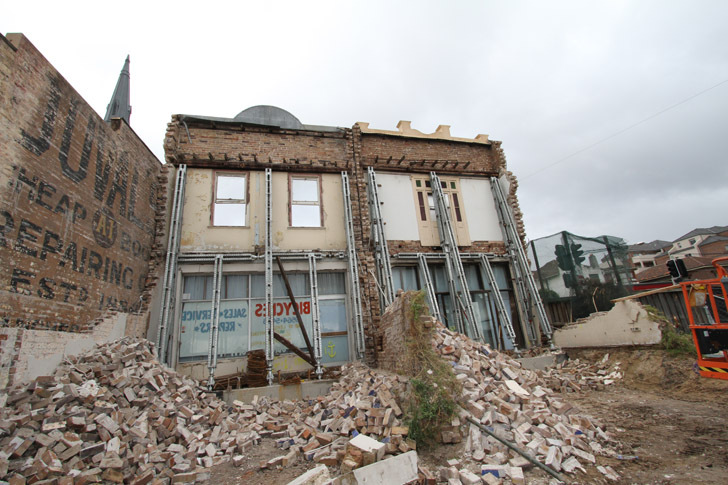 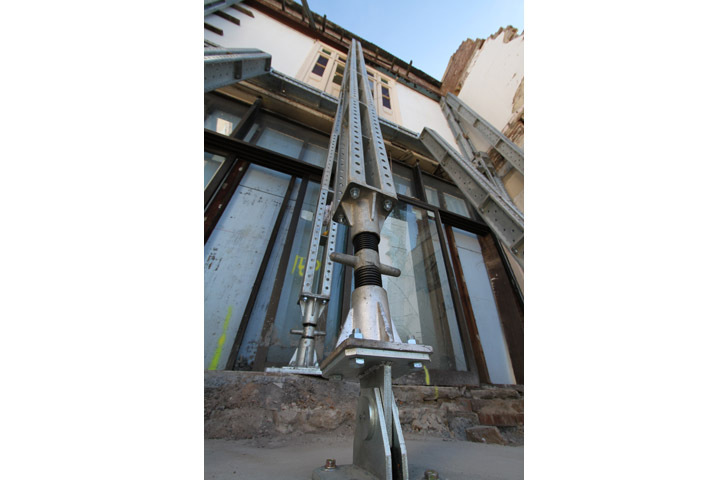 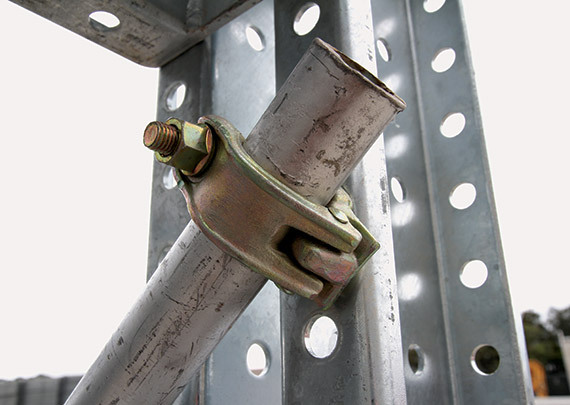 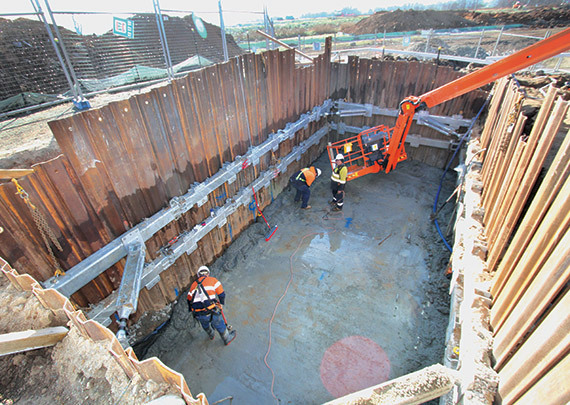 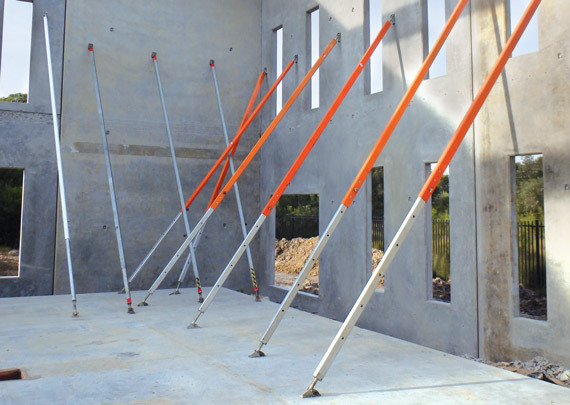 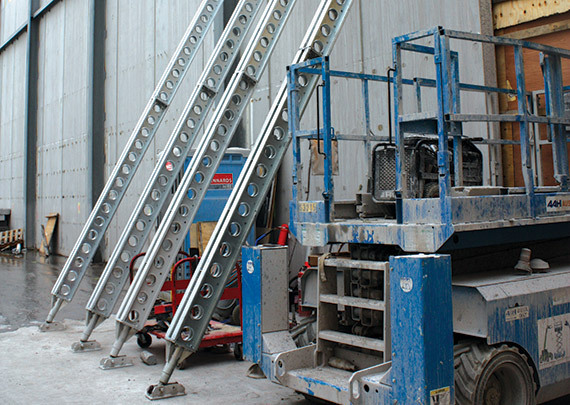 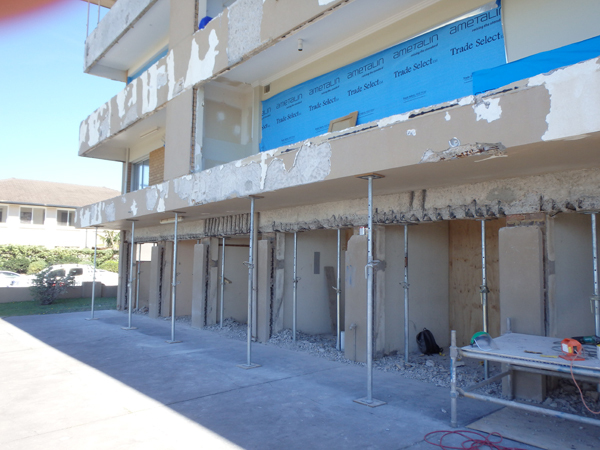 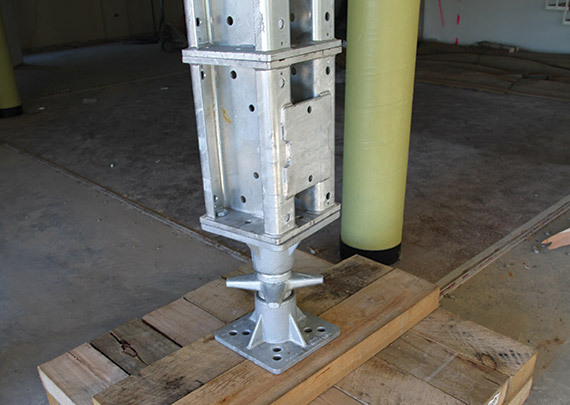 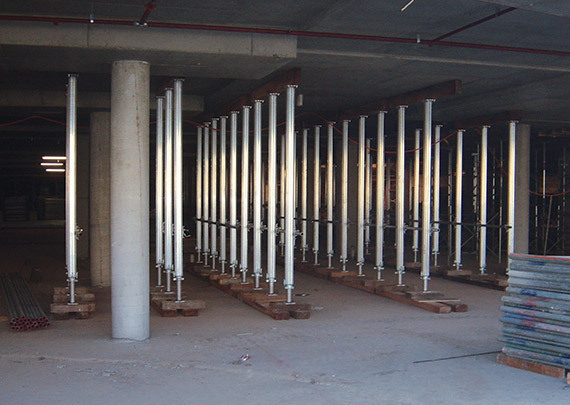 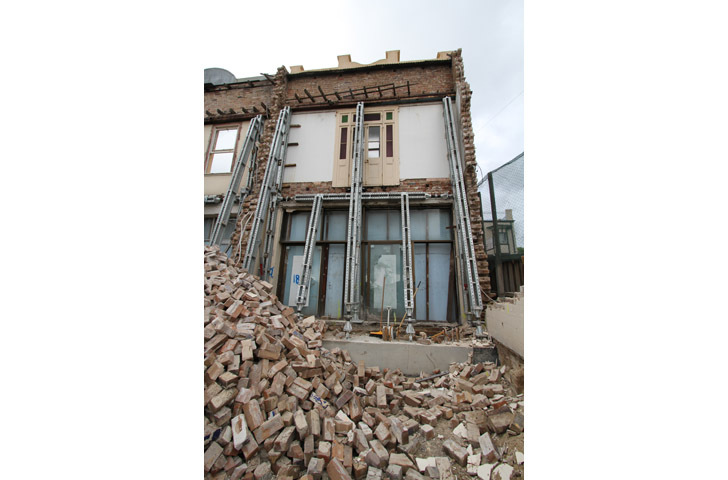 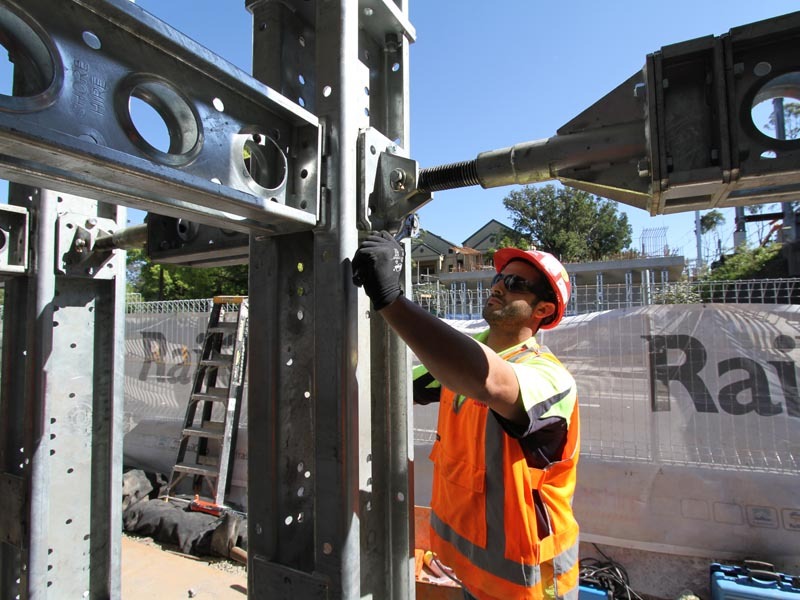 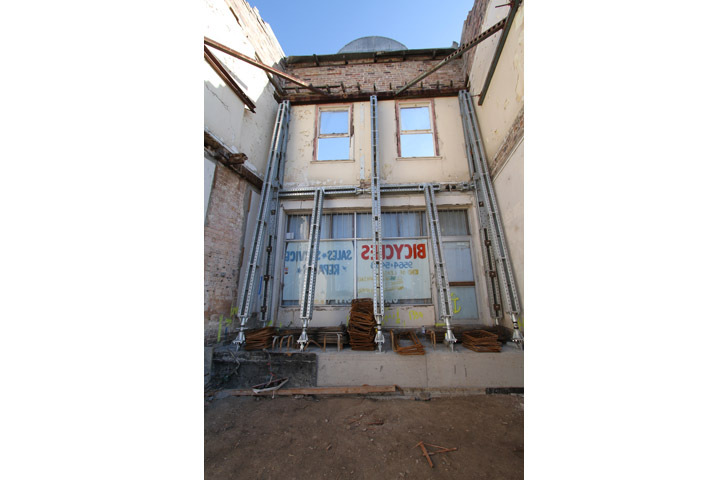 Shore Hire worked in conjunction with a structural engineer to provide a total propping and shoring solution. 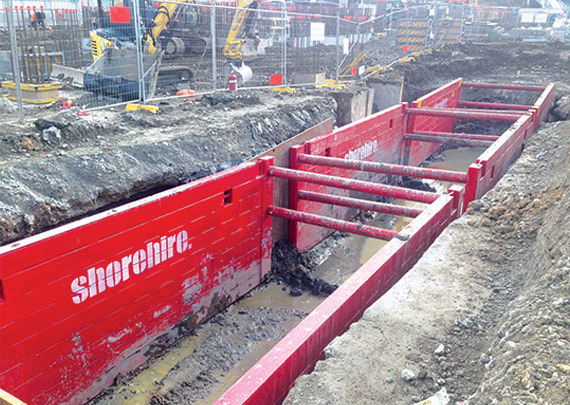 Shore Hire used its Shore 400 system to effectively support and maintain the ageing façade in various positions, including as raking shores. 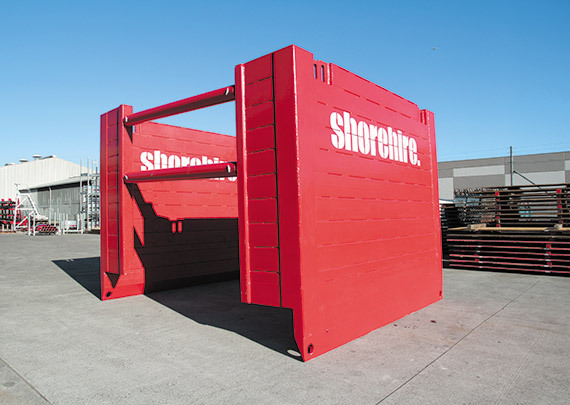 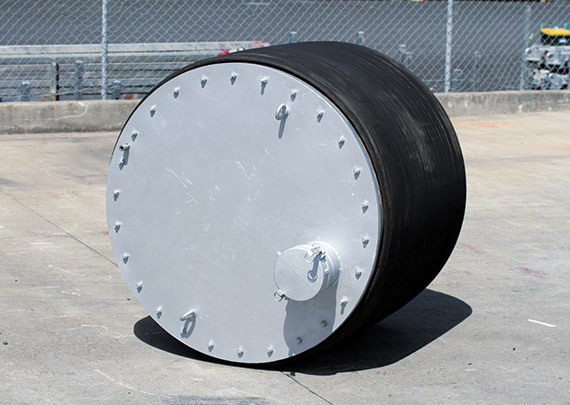 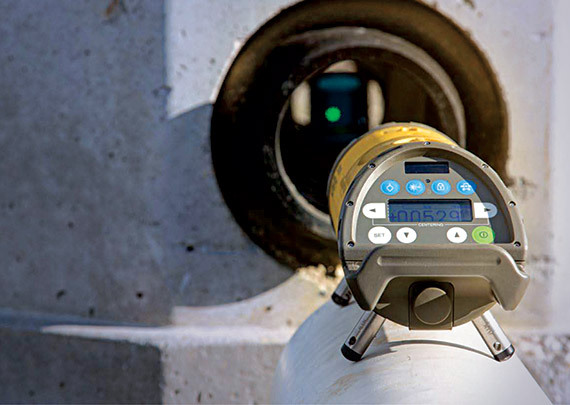 The Shore 400 system provided the flexibility required by this unique job, meeting all of the needs of the structural engineer and the demands of the customer. 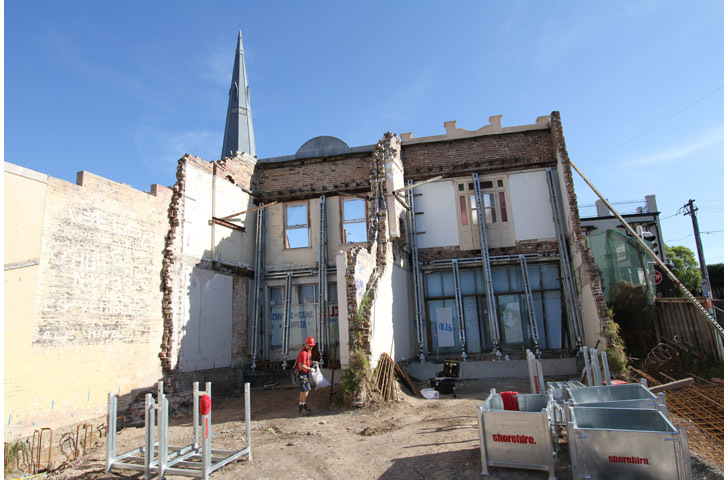 The renovation went ahead as planned, effectively and safely incorporating the brick façade into a contemporary structure.